Entrant with Carport Includes a Rotary Revival Entry and Carport. EVENT RULES & REGULATIONS – NON ALCOHOL EVENT Rotary Revival events are open to all types of road registered cars. Unregistered cars are also welcome but need to be approved by Rotary Revival management and must be pre entered. All drivers must be a minimum of 18 years of age and hold a RACERS. All vehicles will undergo a safety inspection. It is still the responsibility of the owner of the vehicle to ensure that the vehicle is adequately prepared for the event. This includes but is not limited to steering, brakes, “especially pads and fluid” and brake lights, battery clamps and all other safety equipment fitted including seat belts windows etc all shall be in excellent working order. Rotary Revival is an alcohol free event the only acceptable blood alcohol reading for entrants is 0.00. Random breath testing will take place throughout the event. In the competition events Entrants are required to wear helmets, enclosed footwear and non-flammable clothing with full coverage from ankle to wrist to neck. All Entrants/Participants are required to follow all Rotary Revival Staff and/or Official’s directions promptly and to full compliance. 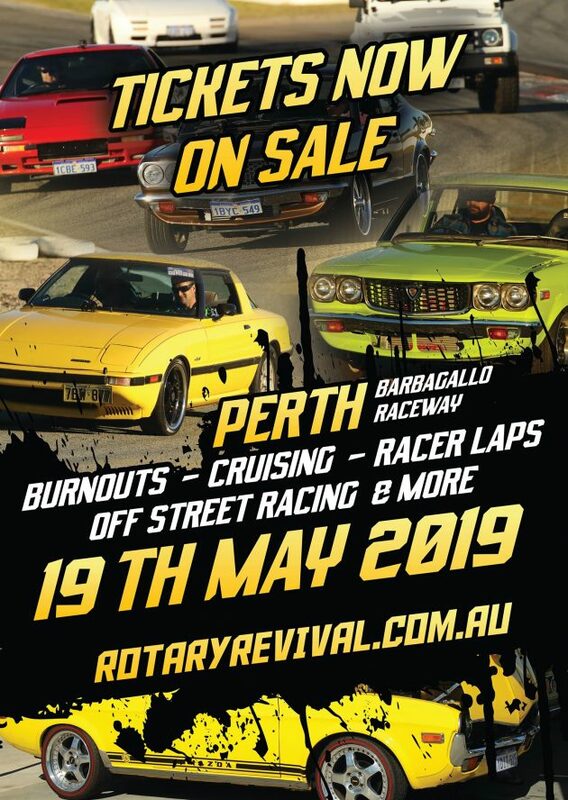 All Entrants/Drivers/Vehicles are accepted at the discretion of Rotary Revival. The promoter has the right to terminate my participation in the event at any stage for whatever reason he and/or she sees fit. Entrants must take responsibility for their actions and there will be no exchanges or refunds. No transfers, cancelations or credits after 12 Midday on the Wednesday prior to the event. All paperwork is processed at this point and can’t be changed. We don’t offer refunds on Rotary Revival events.